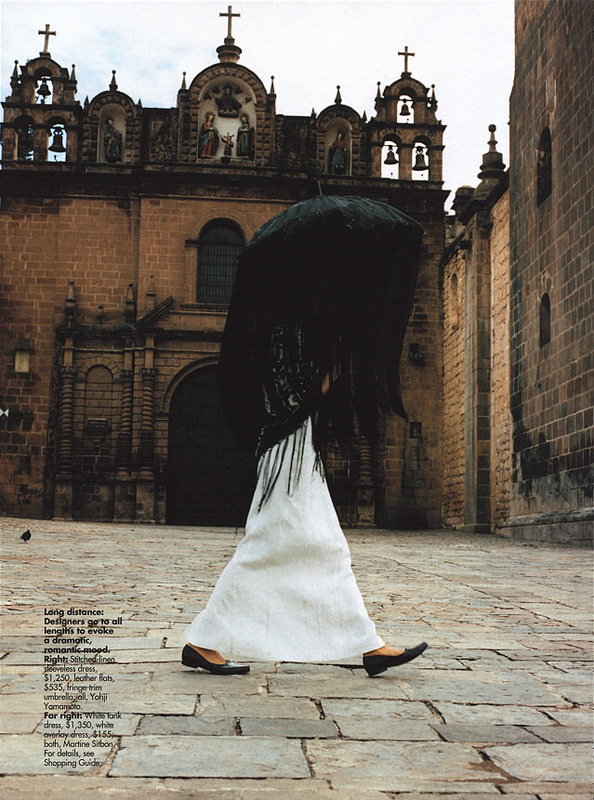 Astrid Munoz photographed by Ruven Afanador for the May 2000 issue of Elle. For as long as I can remember I have had a fierce yearning and desire to trek and journey deep into The Andes. Compelled by whimsical reveries of adventures through ancient ruins, trekking towards the splendour that is Machu Picchu, one of the New Seven Wonders of the world. For me it was those enigmatic stone structures that are breathtakingly perched on a landscape of incredibly imposing peaks that first caught my attention when I was younger. The monumental sense of occult which shrouds the Inca and their accomplishments, especially when it comes to architecture and structures, has always fascinated me. To say visiting and traipsing through Peru is on my bucketlist would not do it justice. For me this is a must. And to not only experience it once but several times in my lifetime. With at least once having made the arduous seven day journey on foot to fully experience one of the New Seven Wonders of the world. Oh how I yearn to simply marvel in all its ambiguity in person. This editorial featuring Astrid Munoz is and will perpetually be my all time favourite. The sartorial amalgamation of culture and the authenticity of a carefully curated fashions makes this undeniably unforgettable. 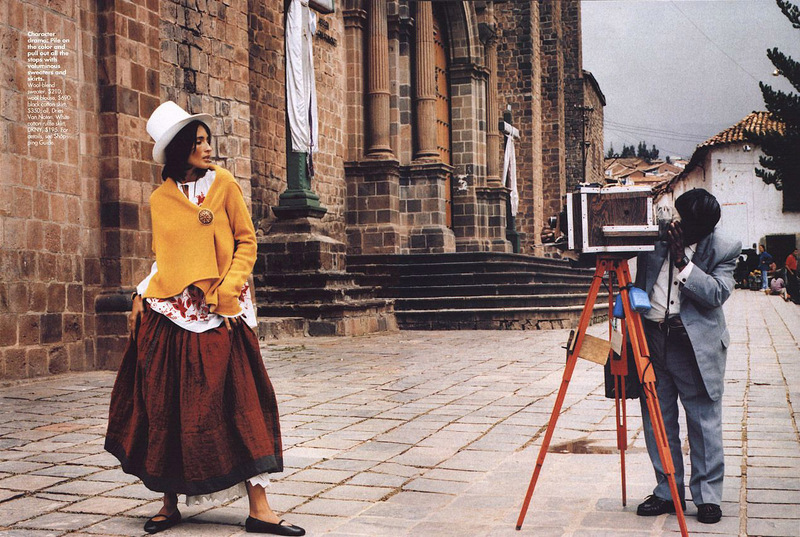 Peruvian landscape and history sharing the limelight with Astrid Munoz, who shines with an innocence and vigor fitting for regality. One which perfectly emulates the luminosity of the storyline.